I’ve been on a mini-writing break doing a business reset. I did a Facebook live declaring May my month of Mindulfuness and Manifestation(I do love alliteration!) and WOW!! It’s Ah-Mazing what happens when you intentionally invest the time to propel yourself forward. Last year, my focus was on my What(run a coaching business or be a coaching employee?) and Who(my ideal client?). 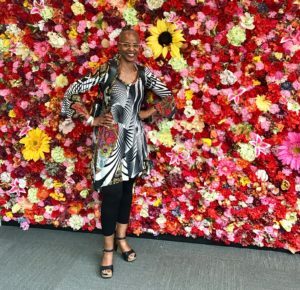 This is my year of How…how to target my business to women who are ready to invest the time and funds to LIVE THE LIFE THEY CRAVE. Women who are done with short-term fixes and are willing to do the work that reaps the life-long benefit of WALKING IN THEIR FREEDOM. Because what I know for sure is that there’s no secret or magic bullet. Connecting to your inner truth and guiding light. Connecting to what you want more than you’re afraid of it. Connecting to your Ikigai. Say what??? 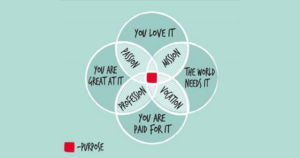 This graphic is the visual for the Japanese concept of Ikigai. Do you want to know your reason for being? Or Do you know and also know you aren’t living it?? THIS is your Summer to Slay That Shizz! Rock Your Roll and START 2018 where you want to be: adding another flavor of icing to your cake instead of trying once again to bake it! THE DESIRE MAP WORKSHOPS—The Two-program process for clarifying what you truly want in every area of your life, and using that powerful awareness to guide your choices from now on; based on Danielle LaPorte’s wonderful book of exhale, The Desire Map, https://smile.amazon.com/Desire-Map-Guide-Creating-Goals-ebook/dp/B00H7MKSRY/ref=sr_1_1?s=books&ie=UTF8&qid=1494102882&sr=1-1&keywords=The+desire+Map. Opt-in link coming. THE GET THE BODY YOU LOVE BARE GROUP tele-class: No dieting, just loving awareness and pleasure. Opt-in link coming. THE MIRAVAL CELEBRATION RETREAT: The BARE GROUP wrap-up and celebration at this FANTABULOUS resort and spa!! Opt-in link coming. P.S. I created all this goodness on a solo Create and Plan retreat inspired by my bookkeeper, Ariane Trélaün posting about hers. I traveled about 50 miles away to be undistracted but not unreachable and it was bliss! Highly recommend for any reason you need to do some serious clear thinking.